Explore the mysteries of ancient times with this enlightening tour. 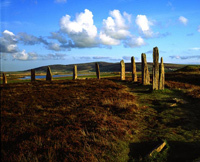 It will take you to the most exciting sites of archaeological interest available in Orkney. Leaving Kirkwall at 9am you can enjoy views of The Bay of Firth en route to The Rennibister Earth House which was found in 1926 when a piece of farm machinery sank into the ground and from this hole an earth house or souterrain was found. Inside the structure the remains of 18 individuals were found. Next, we travel to Maeshowe, a chambered tomb built sometime before 2700BC and is recognised as one of the most spectacular Neolithic buildings in Britain and one of the finest burial chambered tombs in Europe. 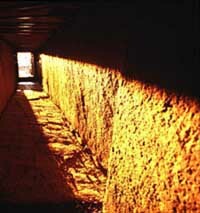 During the Winter Solstice, the setting sun shines down the entrance passage (12m long) illuminating the central chamber. Whilst here you can enjoy a guided tour of the tomb and listen to more interesting information about Maeshowe which is a designated as part of the UNESCO World Heritage Site. Maeshowe reveals the largest collection of runic inscriptions in any one place in the world. Maeshowe was raided by Vikings (mid 12th Century) who left their mark forever. The Standing Stones of Stenness dates from around 3100BC making the stones one of the earliest stone circles in Britain. There are only four megaliths still standing today, it is thought that there could have been 12 megaliths originally however excavations suggest that the11th or 12th stones may never have been erected. From here we journey to view The Ring of Brodgar, it is thought to date from around 2500 and 2000BC and is believed by many to have been ceremonial. It is the third largest and best preserved Stone Circle in Great Britain. The stones at the ring are quite evenly spaced and at one time contained sixty. Many visitors to this site feel compelled to touch them or place an ear to them. Mystery still surrounds the actual purpose of the Stones. 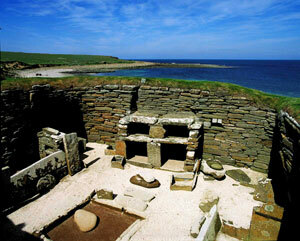 The afternoon continues with a tour to Skara Brae, a Neolithic village and one of Orkney's most visited ancient sites. It dates back to between 3200BC and 2200BC. 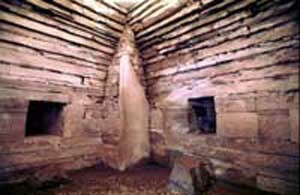 Skara Brae has eight dwellings linked together by a series of low covered passages. The buildings and the contents are very well preserved, including interior fittings, providing a fascinating and thought provoking glimpse of life at that time. Moving on and enjoying the surrounding scenery we head to The Broch of Gurness, this is an Iron Age 'Broch Village' situated near the sea shore. It is thought to have been built between 200 and 100BC. It probably would have housed up to forty families within the Broch and the outer defences. This concludes the tour and we will take you back to your accommodation or you may have time for a spot of shopping at the many quality craft and local stores. This is the most requested single day tour and is packed with six visits that include some of the most uniquely historic wonders in the UK. A one-day wonder.